Project: The idea of molecular structure is fundamental to our understanding of chemistry. While the familiar ball-and-stick model is both concrete and appealing in its simplicity, it is also limiting, or worse misleading, in terms of explanatory value. In a recent paper it has been shown that a relationship between the electronic density and the molecular wavefunction allows for an alternate description of molecular structure, one more suited to novel bonding situations (see a summary in ScienceTrends). From the molelcules described in this review each student will employ this approach to to generate novel intrepretations of chemical bonding in a wide range of molecular complexes. The initial structures for the molecules chosen cxan be obtained either from the Cambridge Crystallography Database or from the Open Crystallography Database . Pericyclic Reactions, with a link to the website at MSU. Electrophilic Addition mechanism using calculations; link for files . For a theoretical explanation of these results see Mingos, J. Organomet. Chem. 635 (2001) pp1-8 . SN2 substitution; link for .log file from a Gaussian grid calulation. 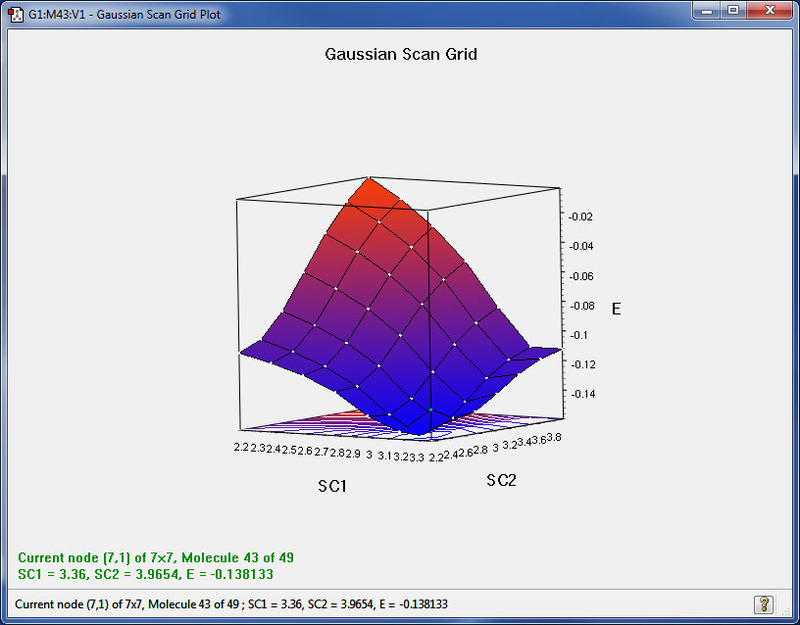 For comparison here is potential energy surface for the same reaction at a silicon center, with a link to the Gaussian out file. For a theoretical explanation of these results see Healy & Dewar, Organo. 1 (1982) pp1705-1708 .